Happy Music Monday! I thought I’d share some of my favorite albums, along with my favorite song from each (I provided a link for each song!). 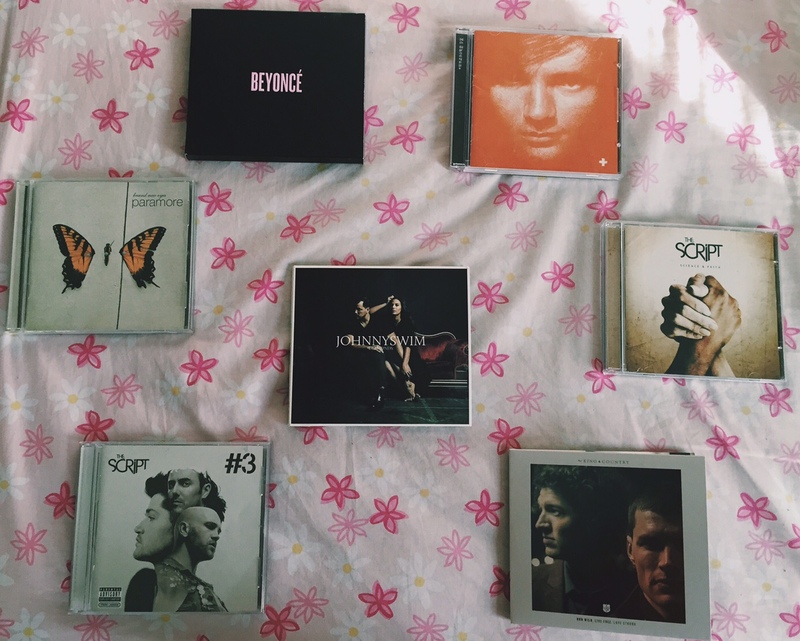 I don’t know about you but I LOVE buying physical copies of music. I do listen to music digitally all the time, but when it comes to artists I really love- I make sure to buy the actual album. And if you can’t tell from the picture, my music taste is all over the place. “BEYONCÉ” by Beyoncé // Favorite song- “Jealous“. Okay that was hard to just pick ONE song from each album. I do want to give a special shout out to Paramore and Johnnyswim because they hold such a special place in my heart. Definitely my top two of them all! I hope you enjoyed this post! I love so many other artists and songs but I just narrowed it down to these favorites I actually own. I would have loved to go into more detail about each album and song but I didn’t want to make this post too long. And I can talk about music forever so its best I just stop myself now. Don’t hesitate to share some of your favorite albums with me! I’d love to check them out! Do you listen to any of my favorites? I hope you have an amazing week.